we were staying for two nights and had a good time, staff really friendly and helpful, the location was ok since we rented scooters and arrived by tuktuk (200 baht). the house that we were staying in wouldn‘t go amiss some re modeling but overall it was clean, no insects, bottled water provided, and fitted with a good a/c. would come again thanks to the team! I stayed for more than 10 days at Veranda Lanta bungalows and I have to say that the owners are really really nice people. They will help you with everything you need. 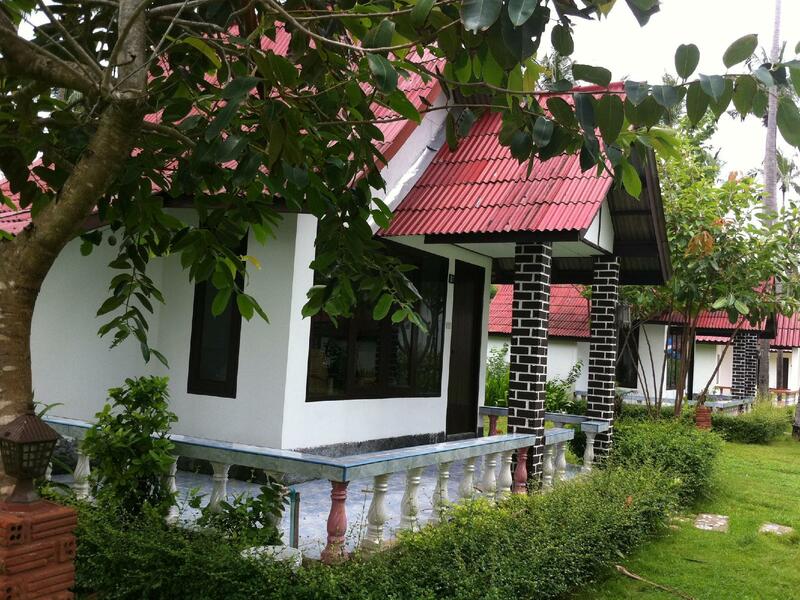 The bungalows are really nice and you have everything you need to have some quiet and quality time for you. A lot of bars and good restaurants at walking distance. Highly recommended. Unfriendly boss. Bad cleanness from our bungalow. There was animals in the room an it smelt very strong in the bathroom. The AC doesnt work normally. It was impossible to use the AC in the night because it was noisy. The hotel is highly overrated, overpriced and ancient. The photos shown do not represent the reality – bungalows are much smaller and a lot more old. 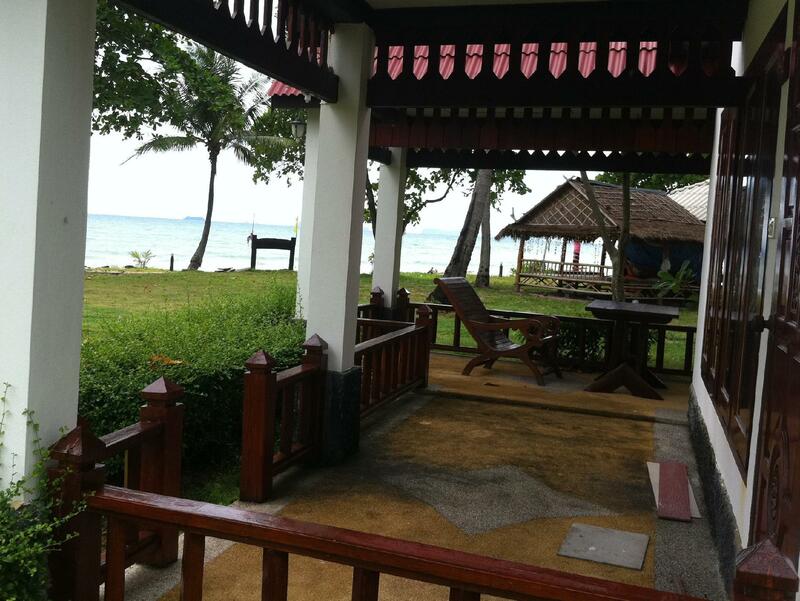 I had a garden view aircon bungalow. Well aircon and bungalow were definitely present, but "garden view" even sounds funny now as there is no garden, the territory is almost a desert, with just a few palm-trees here and there, and bungalows are so close to each other that you will have to keep the window curtain closed at all times or all the resort's visitors will see what's happening in your room. As you may understand, feeling cosy and private on the terrace is not an option too. But the thing is that you won't want to stay at the room too – I had a squeaky spring bed that moved like a jelly – if it was barely touched at one place it bounced all around, I had both a front and a bath door broken and hardly opening, the toiled pan had black scratches all over the surface like somebody literally did *** bricks there, the shower barely ran so that the sand which I washed from my feet the first day didn't go till the last, and the water in the shower was either boiling or cold. Ah, and the food – "American breakfast" has only eggs, toasts, chemical artificial juice and tea/coffee. No beacon, sausage, beans, veggies, salad or any other nice things that usually go in there. In sum, I believed nice photos and a review score, payed twice the average Koh Lanta bungalow price hoping for a paradise getaway and got one of the worst values for the money in my 5-moths SE Asia trip..
We had our room cleaned once during a 7 day stay, despite asking for it several times.We didn't have high expectations, but uncleaned trash + heat + no air con... Well, you can imagine. Many similar places around. Good spot to stay for low price, close to other restaurants and bars. We booked 9 nights but stayed only two. Resort itself was quiet but proximity to beach meant music until 3am. Rooms clean but musty. Far better value elsewhere. It was short. We ordered food to the room one night and it was good. But then the plates where left at our porch for 2 days before they took them away. When you have 2 plates with left food on you get allot of ants. Not funny. They did not have any pool and the beach are not the best in the afternoon because of the timewater. But over all it is a nice place to be at. Close to the beach, many restaurants and bars in walking distance. We rented a "fan bungalow" and it is ok to sleep one or two nights. I didn't expect more for the price I paid. 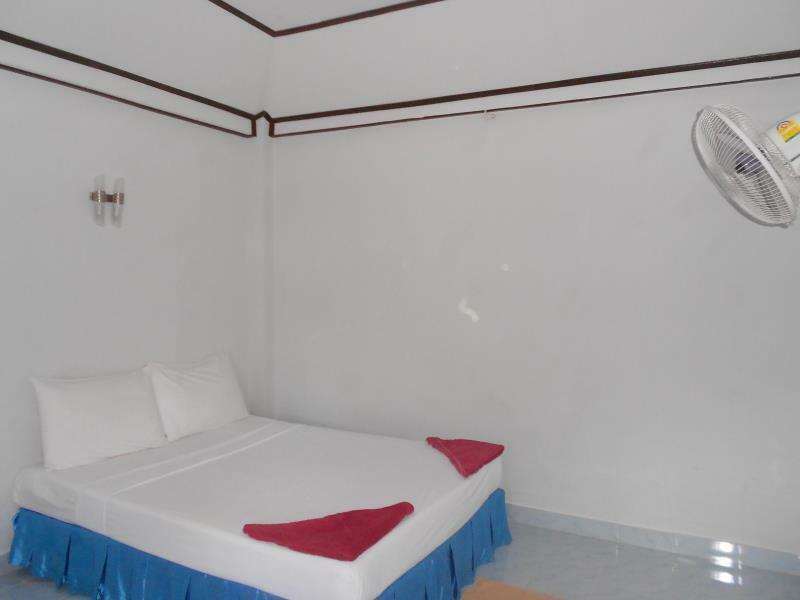 Proximity to the beach, cleanliness of rooms, value for money. 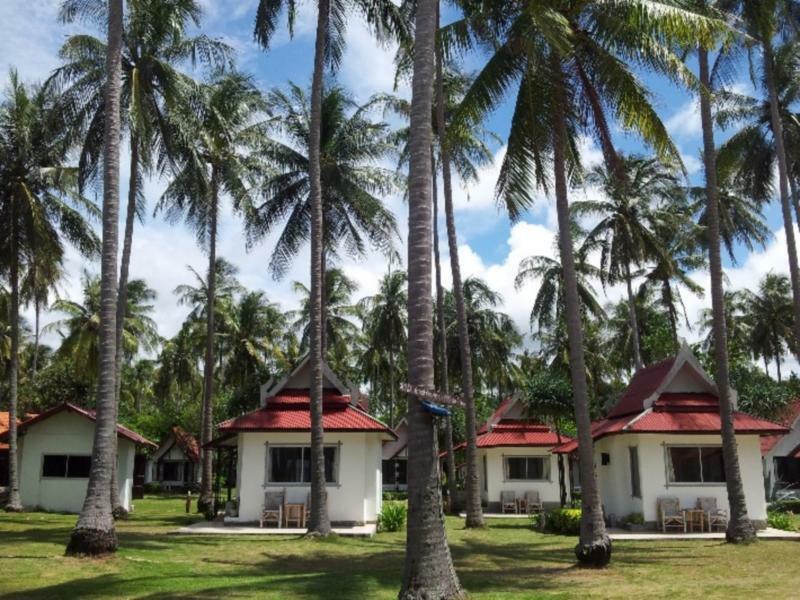 We stayed here for 1 night on NYE after exhausting every other accomm possibility on Koh Lanta and not really expecting much. We were wrong to assume - this property was astonishing. Very well established, in beautiful surroundings, clean, attentive, professional staff and very affordable indeed. Really quite something! Location at beach; garden with lots of shadow. Great place on the outside with white painted stone cottages under trees. But the inside of the rooms is very basic. Nothing on the walls, basic bathroom. Ours had an old toilet and sink. Our airco (not all others) made too much noise to keep on during nighttime. Cleaning was very basic as well. Only the bed and floor. We had to ask for extra toilet paper, clean towels, bedsheets after 5 days etc. Although the staff was very friendly and always willing to provide this, this was not the service we expected for this price. Free bottles of water only the first day. The rocks in the sea scared us at first but were no problem with swimming. Maybe not good with small children. The trees along the beach were great for their shadow. It is a peaceful place with many restaurants and bars surrounding it at the beach. Do try the Greek restaurant at the street side. Small grocery store very nearby. Quiet, comfortable beside the Koh Long Beach, the sea view is very nice. The BBQ in the evening is also very nice. The internet access is quite a little slow if your apartment is a little far from the receipt, the wifi covert is not very widely. The AC is installed direct in the wall outside so when it is working, the wall shakes, but you can use the pillow reduce the shake. We had a nice 3 nights here, staff was friendly but it was very busy & the beach was rocky when the tide was out & at times the water was dirty. 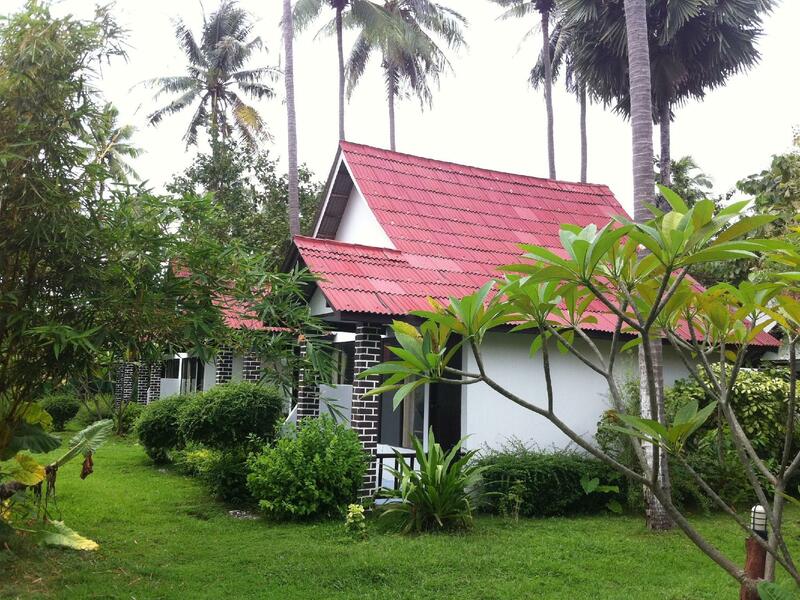 Rooms are located at a perfect location, quiet, no loud music at night. But the resorts needs to be renovated. 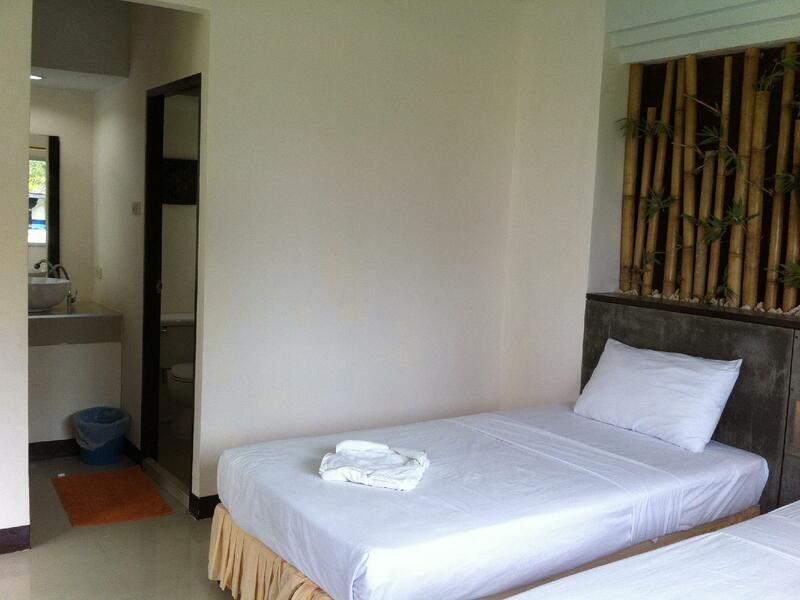 For this kind of room, this quality, I would normally pay THB 1000 max during high season. We were charged double. But since we travelled with a party of 4, we weren't flexible to look for another place to stay.